Our STUNNING Rustic light up letters, made from Reclaimed timber and using authentic filament bulbs for maximum Rustic authenticity. 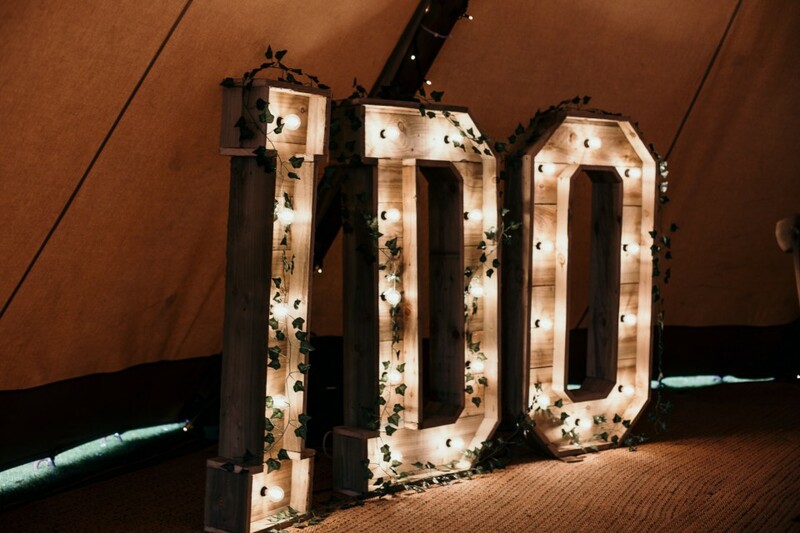 With or without the matching 4ft Heart, these super special 'I DO' letters are sure to be something special that everyone remembers from your big day! How are the light up letters powered? They are all mains powered using a standard mains connection. How many sockets do I need? Each letter has a separate plug, however we can provide sufficient extension leads to enable us to connect the letters to the mains using just one socket. Are the letters suitable for outside use? We do not recommend that the light up letters are used outside for safety purposes. We can however make exceptions should you have an event manager present all day that would be able to move them immediately should the weather change. They would also need to be in a very stable position protected form the wind. We also would not recommend this for a large number of letters.